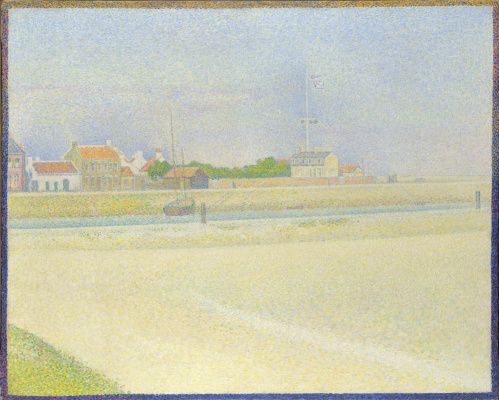 Georges-Pierre Seurat (FR. 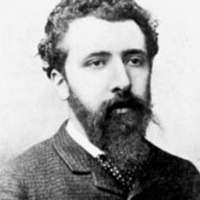 Georges-Pierre Seurat 2 December 1859, Paris — March 29, 1891, Paris) — the founder of neo-impressionism, French painter, who introduced the painting technique of creating pictures by drawing on the canvas of a plurality of adjacent dots of pure contrasting colors (pointillism, or divisionism). Neo-impressionism has influenced many famous painters of the time. Features of the artist by Georges Seurat: the "point" method of creating patterns, monumentality and timelessness of his paintings that radically distinguishes neo-impressionism from impressionism aimed to capture the moment. At Sera a moment soon becomes eternity. A scientific approach to making art, denying the key role of the artist, but proclaiming the Foundation of painting, he formulated the laws of pointillism (at least in theory — in practice replace the artist’s method, the Sulfur could not). The work in the Studio, not EN plein air. 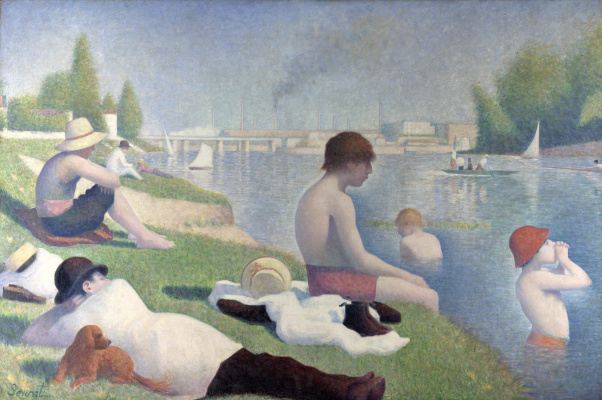 Famous paintings of Georges Seurat: "Sunday afternoon on the island of La Grande Jatte","Bathing at Asnières"
What if Georges Seurat had lived for 31 years, and at least twice more? 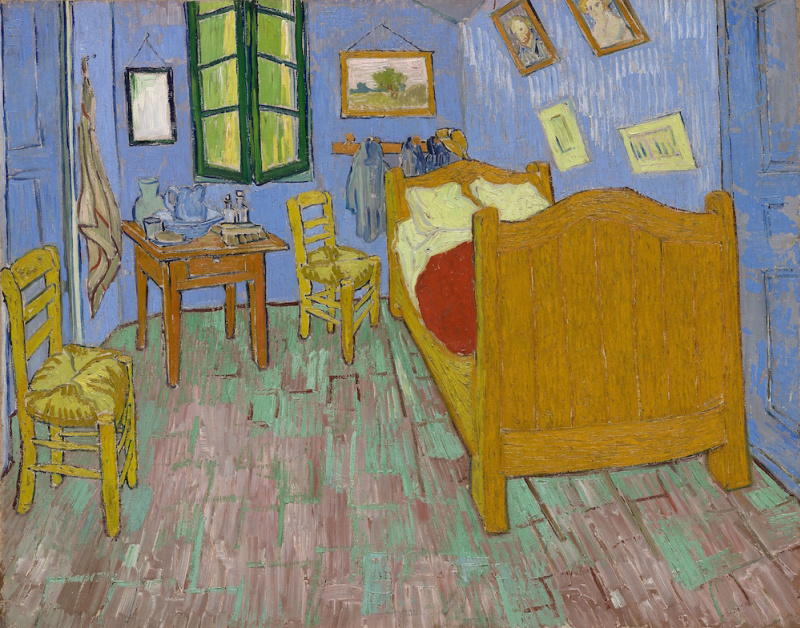 Neo-impressionism flared and went out, but made irrevocable changes to the world of art. And not only in the technique of points, which with a light hand, Sulfur was used by many famous artists, but also that Sulfur (like van Gogh) came out of impressionism and at the same time marked the end of his era. What do you know about the introverts? Not all artists differed cheerful disposition and sociable character. Moreover, frankly, is rather an exception in the environment of artistic Bohemia. Sulfur but even on this background was allocated excessive reticence and unsociable. For example, the presence of his son and wife are usually around to learn a little earlier than he to die are made. But Seurat his family presented to parents at this moment. He was the 31st year, he was diagnosed with meningitis, he "burned" literally three days before his death, said that the model Madeleine Knobloch shown in the picture "Puredata girl", bore him a son. The child died shortly after father. About his life little is known. Unlike most of the Impressionists, Seurat did not have to face financial problems, he comes from a wealthy family, his mother adored him and was ready to pay any passion. As a child, Georges mother and lived in Paris, and his father, a former Ministerial official in a country house, where in the chapel, arranged in your own cellar, conducted services. The family he visited once a week. Strange man he was… the Son went to his character. 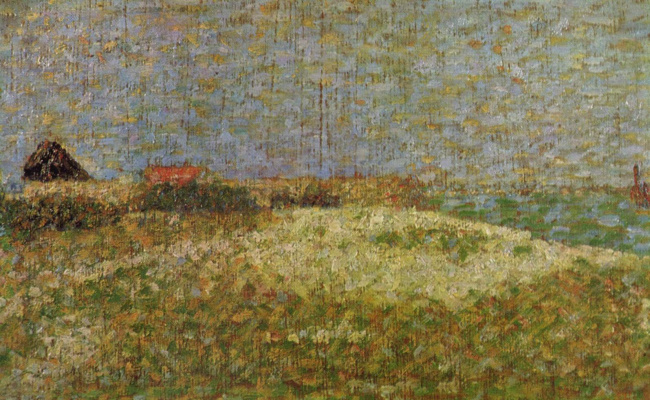 To overcome the resistance of the family to study painting, Seurat did not have to, because to argue with his desire or come up with a "worthy life" parents do not have. To work for a living he also did not need to. The basics of the art of Georges Seurat mastered under the sculptor Justin Lecien. Difficulties with the admission to the School of fine art is not there. Prosperous Scion of a rich family, adored by mother and father generously supplied with money, logically, was to become a traditional painter. Perhaps it would have happened: he learned from Lehmanadmired Ingresand to master academic skills. Studied Sera is not brilliant and the School of fine arts left two years later. The main advantage of studying for him was access to the scientific literature. In particular, Seurat has carefully studied the work of the then Director of the school of Charles Blanca "Grammar is the art of drawing". The form described the principles of light and color, of which Sulfur brought his method — pointillism(FR. pointillisme, from "the point", point — to-point). It is closely intertwined with divisionism (FR. divisionnisme, from deviser to divide), they are often defined as synonymous. This method enables the decomposition of complex colors to pure colors, which are applied to the canvas in the form of closely spaced points, resulting in a special color depth and various color effects. At Sulfur had a significant impact on the labour Sevres combination located next to contrasting colors. 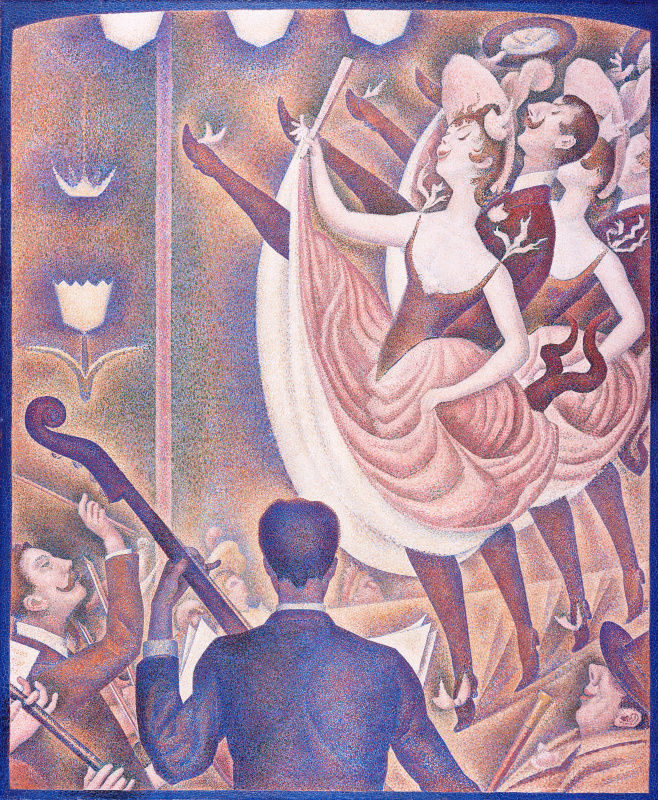 Georges Seurat low to appreciate the value of individuality, believing that the arts need to theorize, to isolate certain patterns, and then absolutely everyone will be able to create masterpieces. He, of course, wrong, as well as scientific, he thought, approach to color and lines, but the error was a success. The turning point was the fourth exhibition of the Impressionists. Georges Seurat visited it in 1879 and was fascinated by the paintings Monetand Degas. It pushed to their own pursuits. We know that Sulfur was in the army and combined it with the drawing lessons that on his return he took the Studio with his friend Aman-Jean. 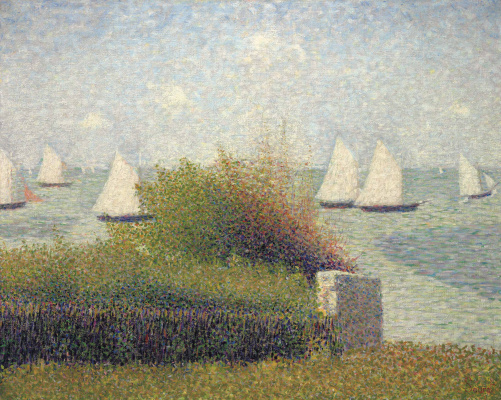 It is also known that he first exhibited Seurat in 1883 a painting "Bathing at Asnières"in which he applied his method of applying colored dots. The salon rejected the painting, and touchy Sulfur forever rejected the official Salon, not wanting ever to hear about him and, as had done many times rejected by the Salon, moved to "independent". Contemporaries agree on one thing: the reclusive and unsociable Sulfur could throughout the evening in the noisy company to be silent, discrete conversations it is not at all interested. But barely touched on the subject of painting, he became aggressive, even wild, and not in a tactful manner, explained to others, "as it really is", and any alternative opinions are considered irrelevant, and came from them in the fury. Your approach, he believed science was an artist-intellectual, his brush was ruled by reason and method, not instinct and heart. 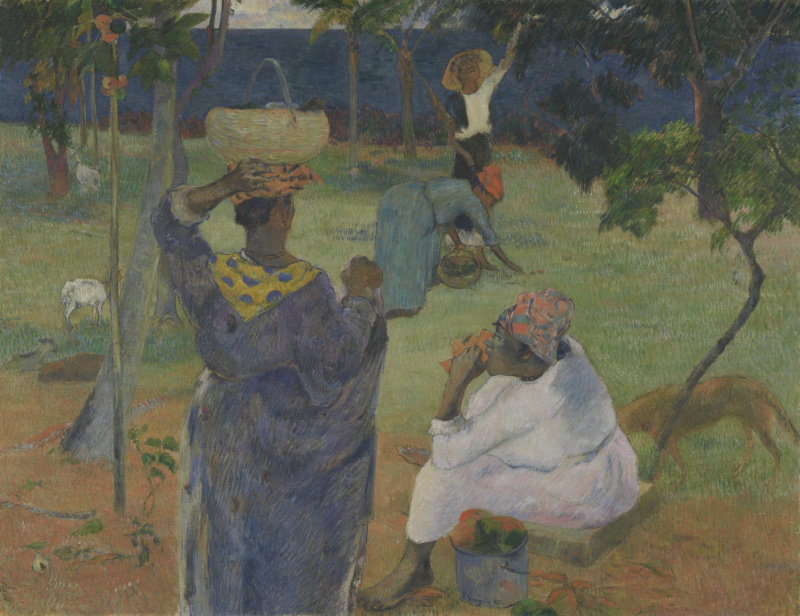 Outlining the theoretical foundations of his method, the Sulfur was not involved in this task is fulfilled at first his friend and colleague Paul Signaclater the art critic Felix Feneon who owns the term "neo-impressionism". And Camille Pissarrocalled method Sulfur "scientific impressionism" in contrast to the intuitive and romantic impressionism as such. 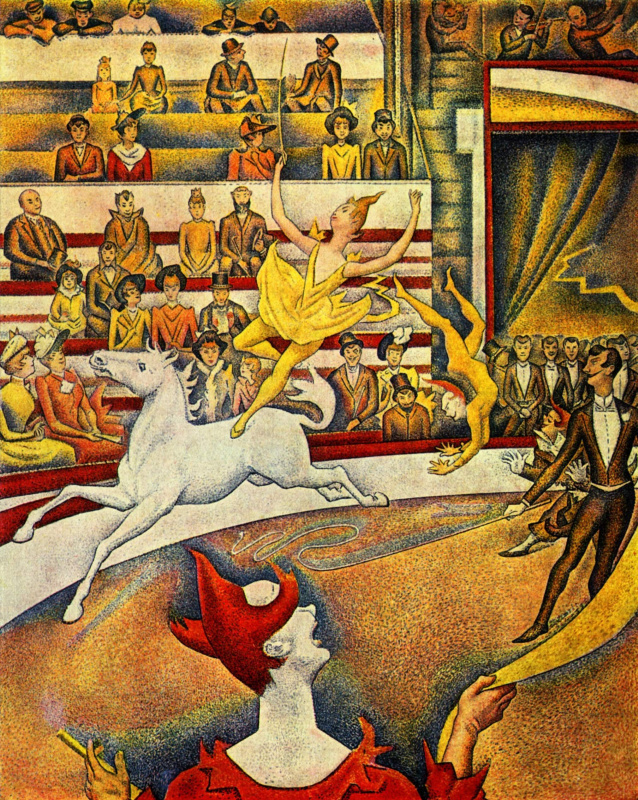 "In Paris there is now only one young man who writes as well as I, — Georges Seurat"— they used to say Gauguin. Sulfur is generally preferred no one to praise. And the spread of his method the author is the one! On the one hand, he advocated a scientific approach and spoke about the fact that identity doesn’t matter. Very angry at the followers because they "steal" his technique. 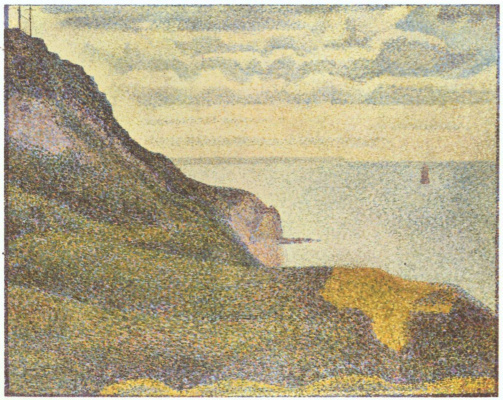 In the technique of pointillism wrote Pissarro, Signac, Matisse, van Gogh, Derain, Gauguin, Lautrec and others. Although the only true follower of neo-impressionism remained only himself Sulfur. Georges Seurat was not satisfied with the transience of impressionism, he did not want to glorify the momentary joy, but wished to grasp something permanent, immutable. Work Sulphur emits a serious, careful calculated with respect to composition. He wrote many sketches and studies before moving on to the final version. Of his paintings banished every movement of air, time, person. They are monolithic and fixed. Even when we are talking about the image playmusic cancan girlsthey kind of froze in the moment. The Impressionists — are big fans of water scenery. Even so Sera went their own way. To write the seahe went not to the blessed colorful South of France, and in the Northern region, where the sea is cold and harsh, and nature is extremely restrained. 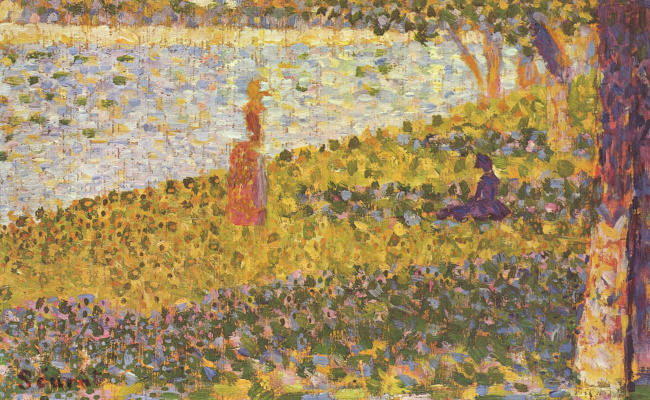 On the eighth and last impressionist exhibition, in 1886, Seurat was expecting the loudest in his life triumph. Picture "Sunday afternoon on the island of La Grande Jatte"on which he worked for two years, produced a bombshell. Critics have said that it declared the Manifesto of the new school of painting. Then "the Island" can be seen at the Salon of independents in the autumn of 1886 and the exhibition of the Belgian "group of Twenty". Everywhere the work of Sera it was impossible to break because of the numerous spectators. Neo-impressionism became popular, Sulfur for this reason very angry and even tried to continue to evade participation in exhibitions, to fellow artists didn’t kidnap his ideas. This, of course, didn’t work — the wave of neo-impressionism drenched many and subsided. 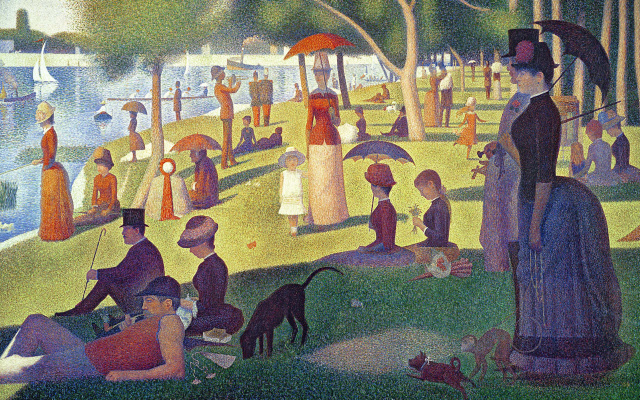 But the question is, what would you change in the painting, if Seurat had lived for 31 years, and two times more, remains. However, in such a short life to make a revolution in art, he managed. And the Cubists and abstractionists recognized irrevocable influence on their formation has had a "colored dots" by Georges Seurat.